Default. The new page will have the header, footer and navigation menu, but the main row will be empty so you can add the widgets you want. Clone. 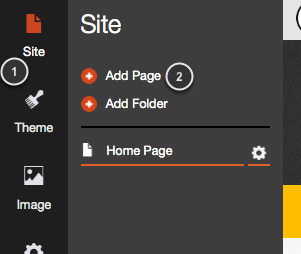 The page you are on when you create the new page will be cloned including all the widgets it contains. Home. 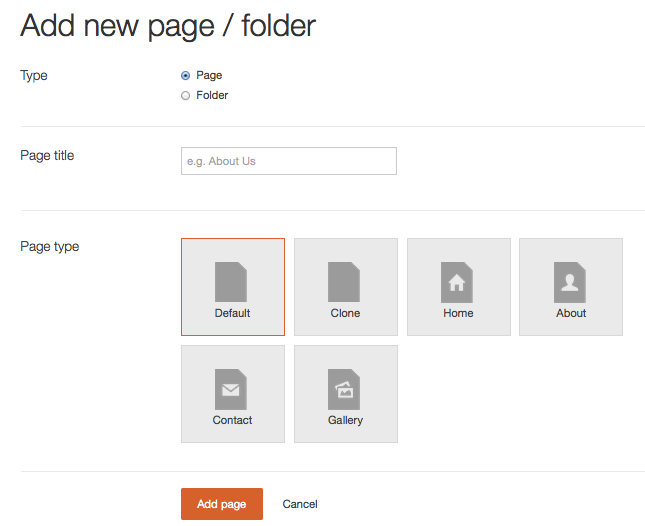 A page exactly like the original homepage in your template will be created. About. The about page includes the header, footer, navigation menu and in the main section there is some default text and a twitter widget. Contact. 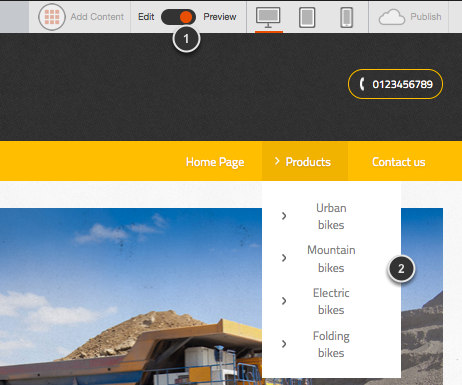 The contact page includes the header, footer, navigation menu and some default content that you can change as you want. Gallery. 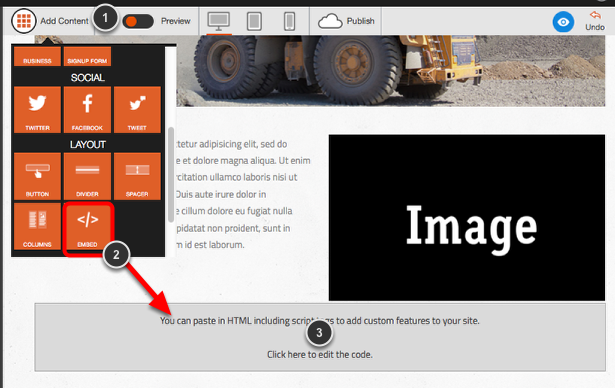 A gallery widget will appear in this page, ready for you to add your own images. Give the page a name and click on Add page. To edit your page click on the cog icon (1) that will only be visible if you are on the page you want to edit. 1. The title in navigation is the text that will appear in your navigation menu. 2. The page url is what will be seen in your browsers address bar. 3. Title in browser will appear at the top of your browser. You can add some keywords on this title to help Google indexing this page. 4. Add some keywords related to what the user can find in this page in order to help Google indexing your site. 5. The description will appear below the URL when you make a search in Google. 7. 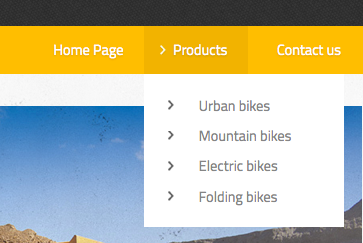 If you make this page your homepage, whenever someone goes into your site, this is the first page they will see. 9. You can set the status to Active (everyone can see it), Inactive (hides the page from the users) or Draft (the users can see the page, but if you do changes and publish your site, this page wont update in the live site). 10. Add Scripts to the <head> or <body> of your page. Use this only if you know how to code because if you don't you might break your editor. 11. Click here to delete your page permanently. 12. Don't forget to save your changes when you finish. 13. Click on Cancel if you don't want the changes made here to apply to your page. Click on Add a folder to add a new folder to your page. 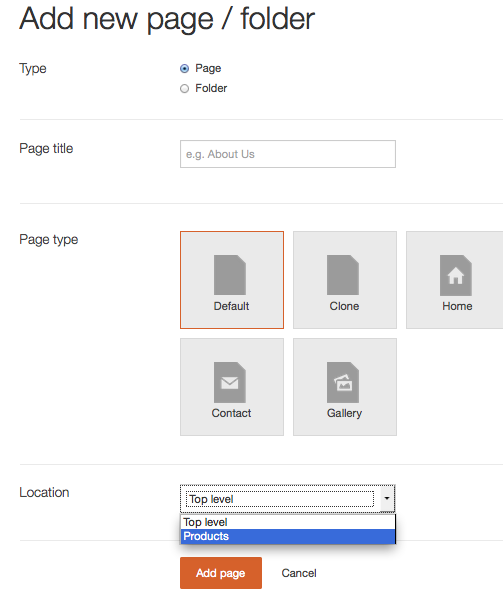 The name of the folder will show in your navigation menu along with all the other top level pages. 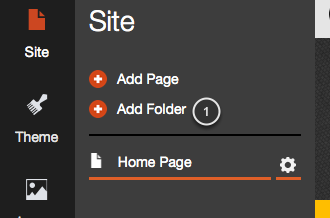 The pages inside of that folder will only show on a drop down when you hover over the folder in your live site. A new page will be created inside this folder. You can change the name of that page by selecting it and then clicking on the cog icon by its side. 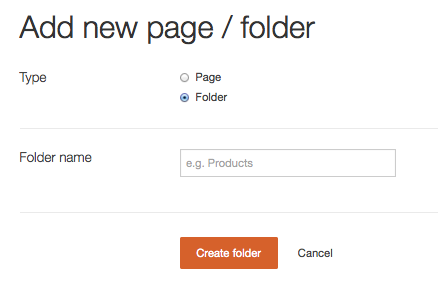 Add a page like you normally do, but don't forget to select the folder where you want to locate that page (1). 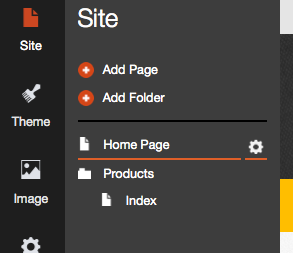 Click on Preview (1) to see how the pages of your folder display in a drop down menu(2). If the name of the pages in your folder are very long, they might break into 2 or more lines like you can see in the previous image. If you want each page in one line, you will need to follow these instructions (These instructions include code and we do not offer support about code). 1. Click on Add content at the top and search for the Embed widget. 2. 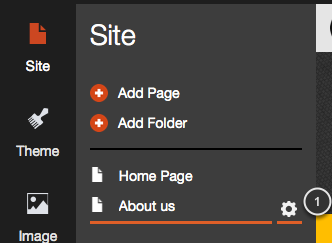 Drag the embed widget to the bottom of your page (your users won't be able to see it). 3. 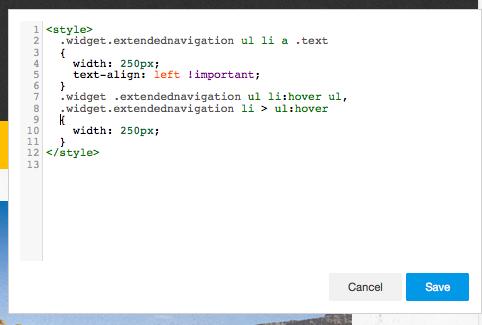 Click on the widget to add some code. And click on Save when you finish. You should now be able to see your pages in one line only.